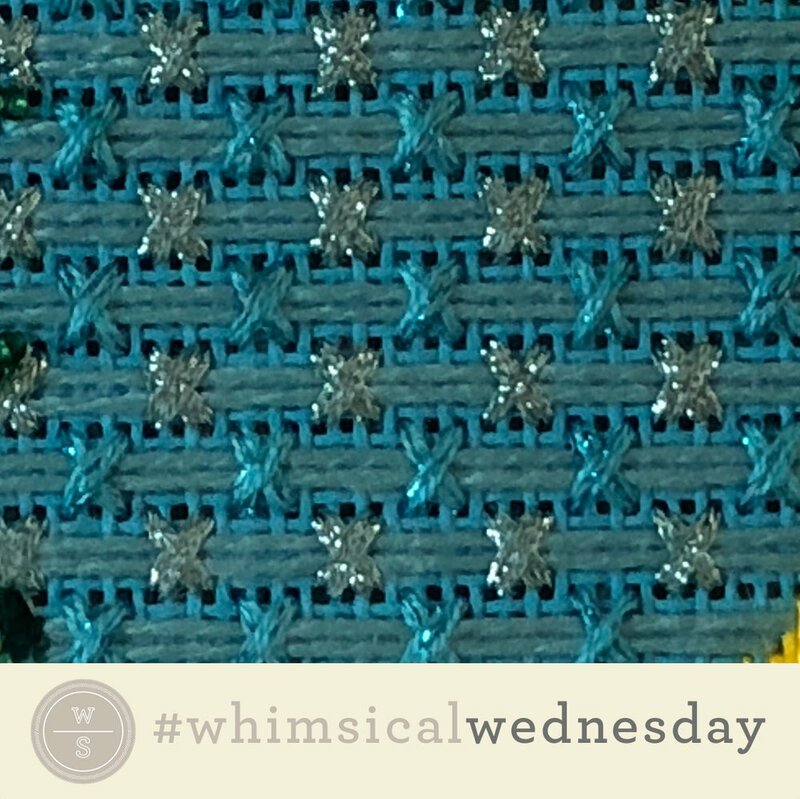 Just as the first pattern stitch this month, this stitch works best in an area that needs to recede such as a background. 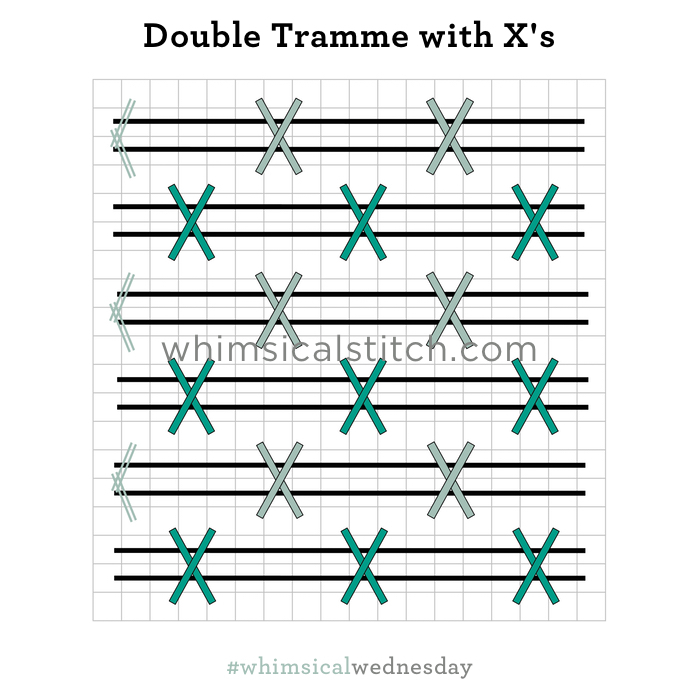 I would love to try this stitch on a large window with a lightweight Kreinik. The stitched sample on Instagram is a background on Melissa Shirley's Pumpkin Patch (a piece I'm dying to finish...someday). This is a large open stitch and every effort should be made to minimize visible threads across the back of the canvas. To accomplish this, I have a couple suggestions. First, for people who use waste knots (me! ), begin your thread on the axis that includes a connecting row (at least 10-12 rows away from your starting point). You can cover the waste knot as you stitch the connector while making sure the thread is snug and hidden behind that same row in the open area. My second piece of advice is to start rows in corners as much as possible. For example, after I stitched a connector (on a subsequent square), I landed in the middle of a row on the new square. I added that center stitch (again, to minimize visible threads on the back) and moved immediately to a corner and stitched the remainder of that side of the square. Typically, when I completed a square, I was next to a connector row, meaning I could go down one row to add the connector row and then repeat.